Last updated 17 October 2018 . By Anisah Audu. 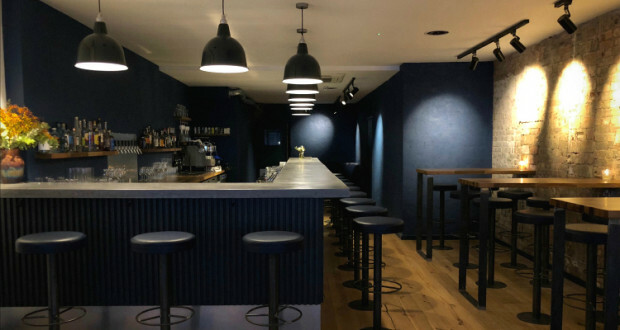 Crouch End just got a whole lot cooler as Max and Noel Venning of Three Sheets and Bar Three fame have teamed up with Alan Sherwood of Scout and Peg + Patriot for a brand new cocktail bar. All you Crouchie locals out there will soon be able to sip on world class cocktails in laid back settings, as the trio shake up a storm to bring a taste of Shoreditch to N8. Expect a large concrete bar, exposed brickwork and airy blue tones; the perfect setting for boozy brunch at the weekend. Drinks lean towards modern concoctions like the Delicious Sour, which combines cider brandy with vodka, sour apple, caramel and egg white for a frothy finish. Or there's the tequila-spiked Peach Tea and their own take on a Pornstar Martini. Taking a leaf out of Scout's book, there will be bar food on offer, with panko fried chicken, bavette steak buns and mushroom toast making appearances. As well as a 12-bottle wine list and changing beer menu, you can sip on coffee provided by Alchemy, with nitro cold drip on tap.